Hôtel Chateaubriand has the refined comfort and charm of the grand hotels of the Rive Droite – the elegant right bank of the river Seine. The refurbished 19th century building today opens its doors on an elegant lodging at an ideal location in the Golden triangle between the Arc de Triomphe, the Place de l’Alma and the Opéra Madeleine. 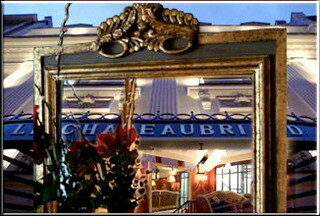 It offers an ultimate location off the Champs Elysées in grand French tradition.